At night, Pakistan’s longest trunk road, the Super Highway, which connects the port city of Karachi to the rest of the country, has few functioning street lights. In the darkness, even when visibility is low, drivers can easily spot the red blinking dots of the wind turbines, standing tall in the silent town of Jhimpir. Located in the Thatta district of Sindh, the town is easy to miss. It is underdeveloped and sparsely populated. But its Zorlu Wind Farm and those large fan-propelled wind turbines are hard to ignore. Outside the farm, on its main gate, the national flags of Turkey and Pakistan greet visitors. 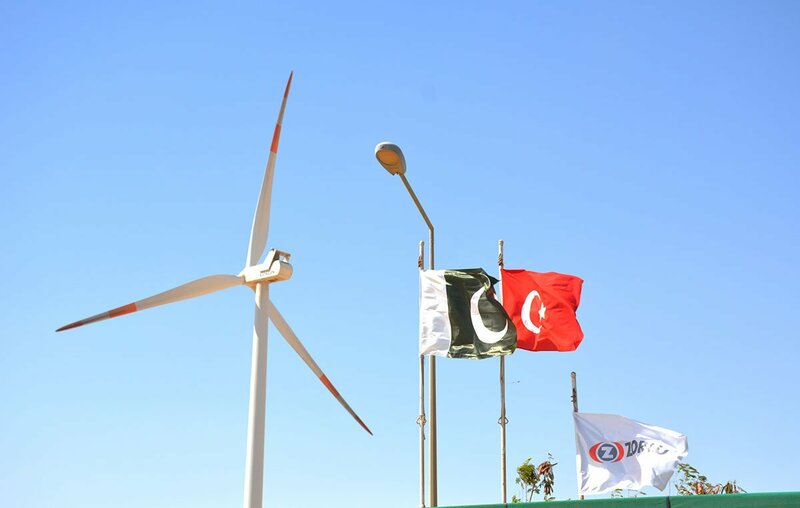 The Zorlu Wind Farm is owned by Zorlu Pakistan, a subsidiary of the Turkish company, Zorlu Enerji. The company built the Jhimpir Wind Corridor. Wind energy is clean and a renewable way of generating electricity. 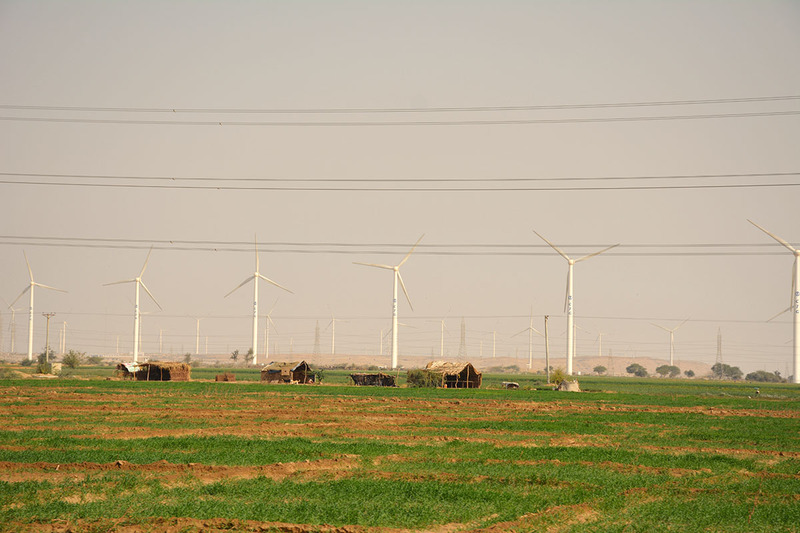 Jhimpir is part of the vast Thatta-Jhimpir wind corridor, a 180 km stretch of coastal land that the state-run Pakistan Meteorological Department says has the gross power potential to produce 43,000 MWs of electricity. The amount may be negligible in comparison to Pakistan total power demand, which stands at around 23,000MW to 25,000MW. Still, authorities expect that by 2030 the energy generated from wind power projects will constitute a larger share in the overall power generation mix then the current five per cent. “Pakistan plans to raise power supply from renewable energy. For it, the federal government has introduced different policies including eliminating taxes on solar and wind energy equipment,” said Amjad Ali Awan, the chief executive officer of Alternative Energy Development Board (AEDB). Renewable energy also came up for discussion during the recent high-level visit by Saudi Arabia’s crown prince. During the visit, Saudi Arabia signed seven different Memorandums of Understanding (MoUs) worth $21 billion with Pakistan, including a $2 billion one for renewable energy projects along the coastal belt of Balochistan. Separately, several power generation projects, including wind power and other renewable energy projects, are being constructed under the China-Pakistan Economic Corridor (CPEC). But there is one major problem. The National Electric Power Regulatory Authority (Nepra) says that the country lacks the required transmission lines and grid system to transmit additional power. 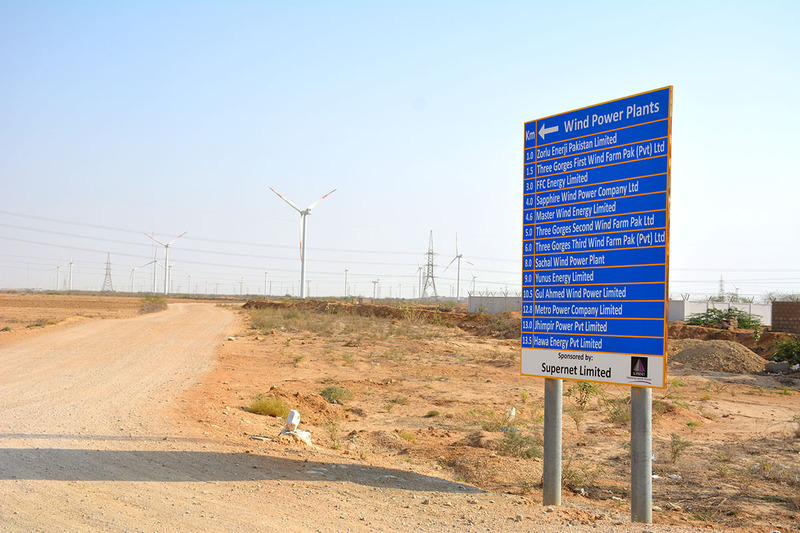 The Jhimpir wind corridor is located just one kilometre away from the Keenjhar Lake, the biggest source of drinking water for Pakistan's most populous city, Karachi. 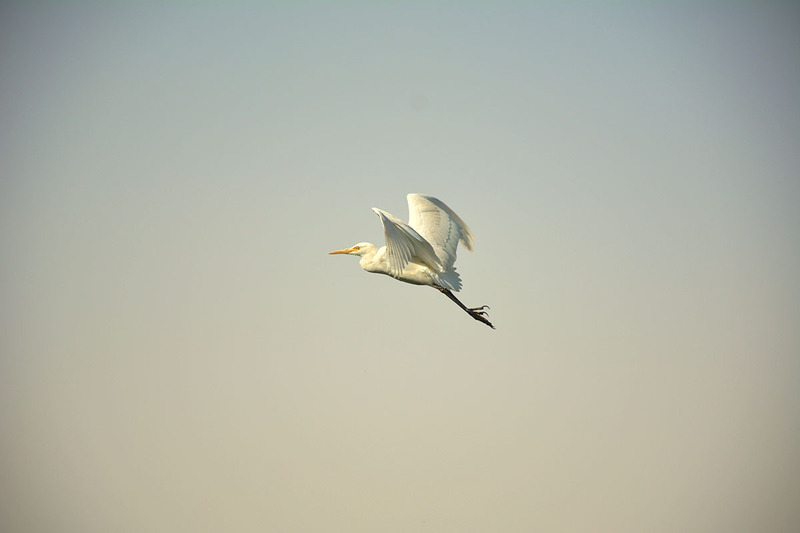 According to the World Wildlife Fund for Nature (WWF), the lake is an important home for winter water birds, such as ducks, geese, shorebirds, flamingos, cormorants, herons and egrets, ibises, coots, gulls, terns and even the endangered Houbara Bustard. Approximately 100,000 birds arrive at the lake during winters. Many of them have recently been sucked in by the powerful turbines and died. An estimated, 8 to 10 birds died every week due to the machinery, say local activists. The Department of Zoology at the University of Karachi has suggested the need to develop a 'Bird Monitoring Plan' to observe the birds’ routes and plan future projects keeping them in mind. Pakistan is one of the countries most vulnerable to climate change. Wind can be an important source of clean, affordable energy in the country if the effort begins now.